BREAKING: ISIS Celebrates Nice, France Terror Attack -- 73 DEAD -- Truck Loaded With Grenades and Guns! 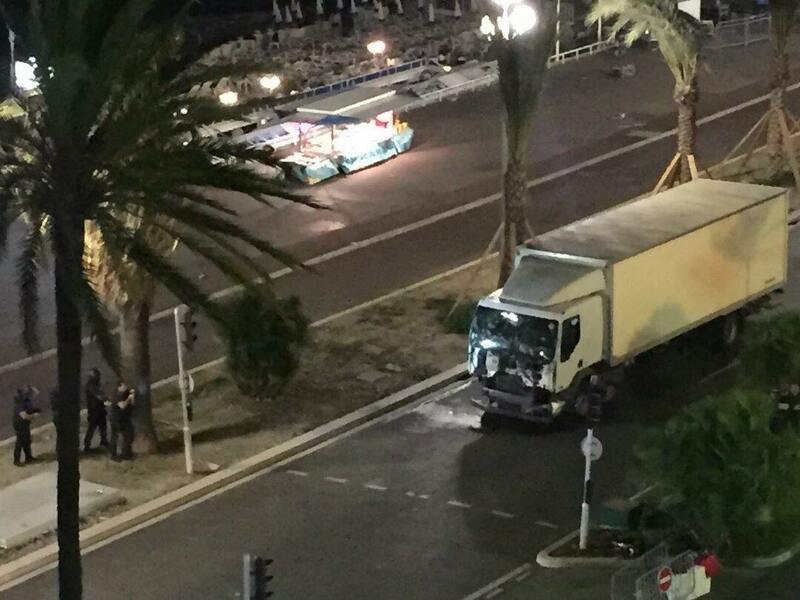 BREAKING: ISIS Celebrates Nice, France Terror Attack — 73 DEAD — Truck Loaded With Grenades and Guns! At least 73 are dead and 100 injured after a suspected terrorist ploughed a lorry into a crowd of people celebrating Bastille Day in France. The truck jumped the curb and drove over the Bastile Day crowd. The Terrorism Research and Analysis Consortium reported that ISIS terrorist accounts are posting about the massacre in France. ISIS affiliated Telegram accounts are posting images of Nice attack. THE TRUCK AS LOADED WITH GRENADES AND GUNS……. ISIS Amaq News has yet to take credit for the massacre.